As we are big Lord of The Rings fans, one of the highlights for Gia and me on our recent trip to New Zealand was the Hobbiton tour. The movie set is in Matamata; it was about 50-minutes’ coach-ride from Rotorua where we were staying. The story we were told was that Peter Jackson had sent scouts around NZ looking for suitable locations for LOTR. The scout arrived at this 1200-acre sheep farm on a Saturday afternoon while the owner was watching rugby on TV. 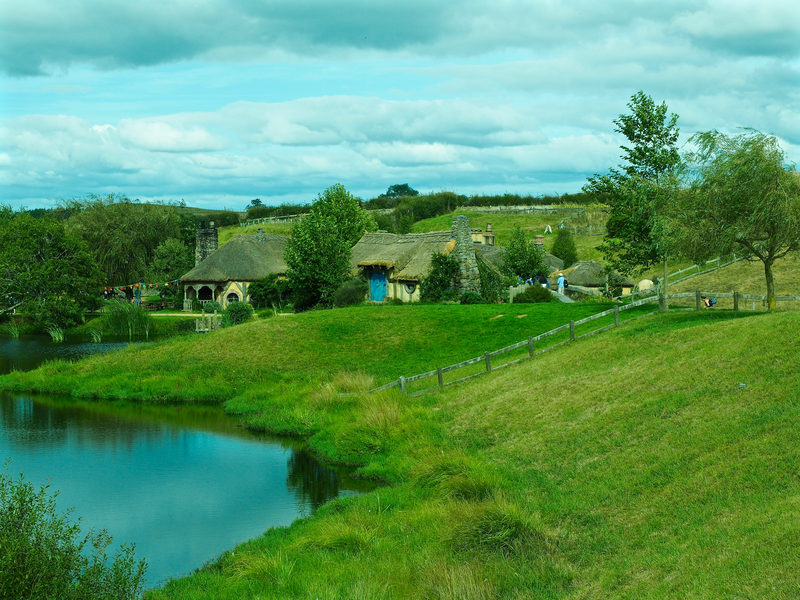 Given permission to take a look, the scout had three principle criteria for Hobbiton: hillside, a large tree and a lake. Apparently, Jackson loved the site so much that he discarded previously shot footage from a dozen sites. After filming was complete, the crew began to demolish the site, but bad weather intervened and the job was never finished. Someone had the bright idea to reconstruct the site for visitors. Some further hobbit holes were added for The Hobbit films. The set is beautifully constructed; there’s a mixture of real (flowers, trees, shrubs, fruit) and fake (pumpkins, cheeses, jars of honey and jam) along with all the round doors. 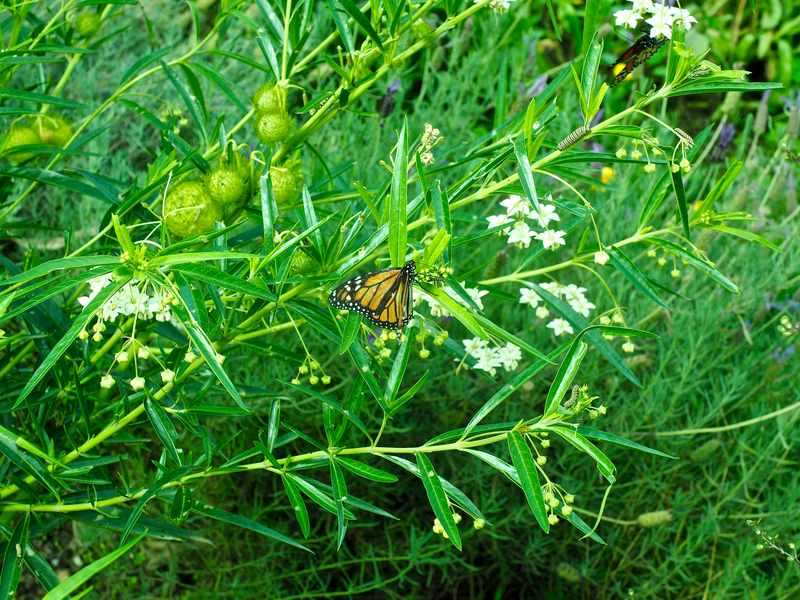 It was a sunny day when we visited and the butterflies and bees were out in force. Our guide, Simon, had several stories about Peter Jackson and filming. One, I particularly remember, demonstrates PJ’s incredible attention to detail. As we were walking past a hobbit hole, Simon pointed out a clothes line at the top of the bank to the side of the hole. Jackson had someone put out the washing every morning, and take it in every evening for 14 days before the start of filming… to create the effect of a well-used path for a scene that was only a few seconds long as the camera panned following a character along the path. The oak tree on top of Bag End had died after LOTR and before The Hobbit, which created a problem. In any case, the tree would have been too large given that The Hobbit was set 60 years before the start of LOTR. So Jackson has an artificial tree created with 250,000 silk leaves individually painted and stuck on the tree. The leaves had to be repainted because Jackson fell ill and the start of filming was delayed by several months. In the mean time, the leaves had faded. There are no interiors to any of the hobbit holes, other than a small piece of corridor at Bag End. Interior shooting was done on the studio. 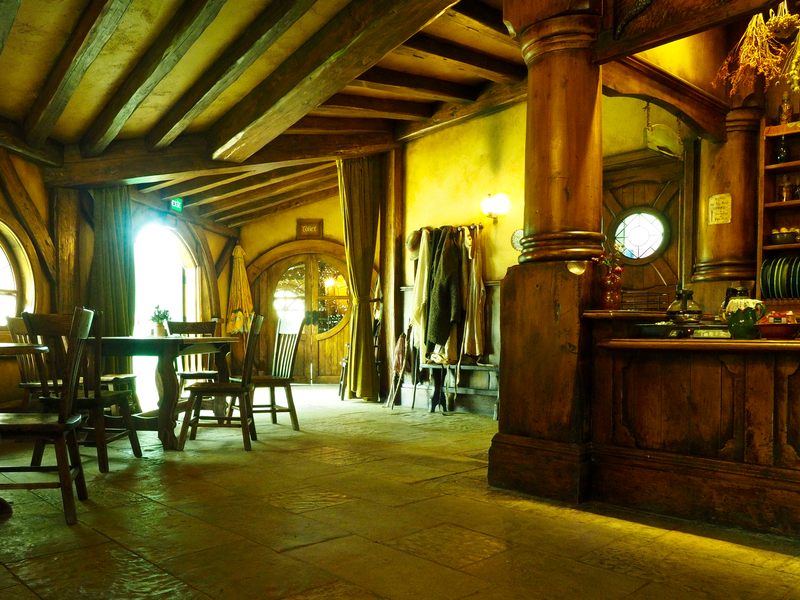 But at the end of the tour, you get to visit the Green Dragon inn where you can enjoy your choice of amber gold ale, cider, stout or ginger beer. These are all specially produced by a brewery in Wellington and cannot be drunk anywhere else in the world—unless you take a few bottles home from the gift shop. The ale, I must say, was excellent. If you’re a Tolkien fan and you find yourself in the area, do go to visit Hobbiton. You can find more pictures of Hobbiton here.